You will see moss on the roof of some homes in the Sequim and Port Angeles area. 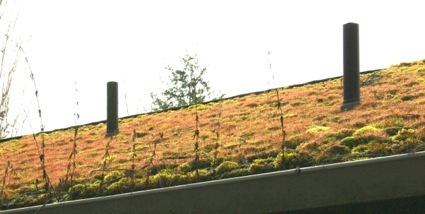 The moss tends to grow on the north side of a roof, the opposite of the sunny side. And it grows where there is shade, mostly trees shading the north side of a roof. This example in this photo is an extreme case. When you are looking at a home you want to buy, should you be concerned about moss on the roof and what are the remedies? Moss on the Roof Damaging? How often should a roof be cleaned? “A report published by Clean Water Services of Oregon, entitled ‘Safe Roof Moss Control’ states, ‘cleaning roofs once or twice a year is recommended.’ Cleaning removes the debris that slow drying of the roof (leaves, needles, etc.) and removes moss.” Moss on the roof can damage your roof if not removed. If you’re buying a home, and there are small quantities of moss on the roof, you can always clean it later if the seller won’t take care of it.